lols explain to me how Saber wins ? I'm going to go with Archer for now. Simply because UBW is so ridiculously powerful and is pretty much capable of beating any other servant if Archer's master is present to channel him mana. Though being that I'm not as knowledgeable in this area as say Ray there may be a few factors I don't know of that could cause Saber to win over Archer. 3. 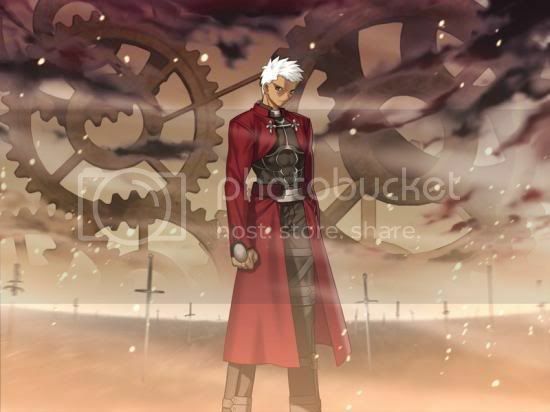 He can trace anything within the mortal world Also UBW can also project any armor or shield used by a hero of the past. Well as much as I do love debating, almost everything I know about Fate/Stay Night is from you Ray, so it's hard for me to debate with you. Though, even given your last post I still think Archer has a higher chance of winning. Though there are still lots of things we can't really factor in like the set up of the battle, and where each individual servant's master is. There are just too many variables. I have no idea who these characters are, but I'm going with Saber. They both have the names of weapons. 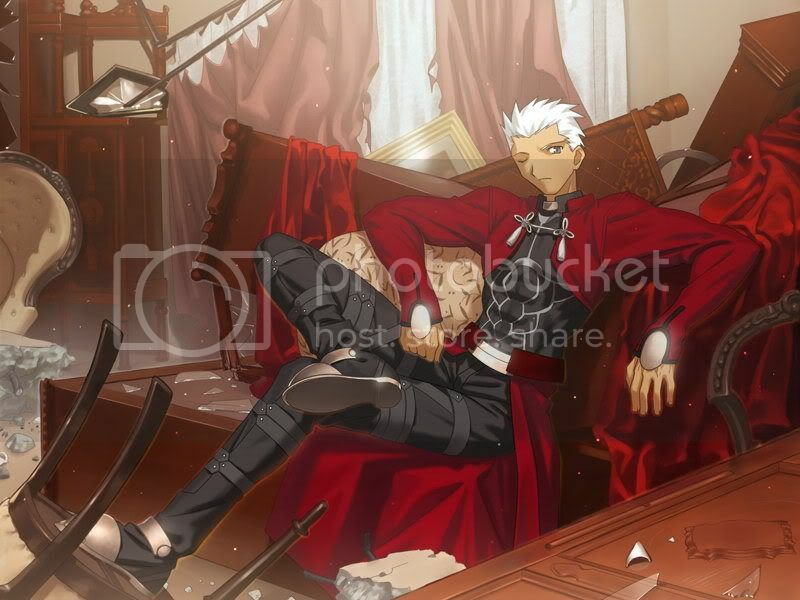 Well if you watched the anime alone, it will be common sense to say Archer is pretty worthless....But damn, in UBW Archer is a god. So I think with the right Masters providing them both with sufficient maner, Archer wins. Well to me Archer would always win as long as Saber does not have Avalon. If she has Avalon she can beat Anti-World noblephantasms on a level that no other servant can match. Without Avalon Archer could easily trace Excalibur in the UBW and in the UBW his traced weapons can exceed the originals as proved in the UBW story. Failing Excalibur there is still Durandal and Moradach which came before it. Rho Hias could probably beat Excalibur as well since it can beat Gae Bolg. Adding the ability to bullet round his swords the same way Gilgamesh does and he could easily win as long as no outside factors are added such as interferance from Shirou. It all hinges on Avalon. I finished watching a long while ago and I'm going to Saber, but you know I think Archer has a high chance of standing up to Saber. Unless Saber has Avalon, Archer just sword-spam Gae Bolg, Caliburn, etc. The default rule of verses battles, if no conditions are stated, is that both combatants are in their strongest incarnations when they face off, so Saber will have Avalon. And Caliburn is a much weaker Noble Phantasm than Excalibur. If I remember correctly, it's only C rank.